The beracha (blessing) we recite on a mitzva shapes and enhances our mitzva performance. When we recite a beracha on performing a mitzva, we praise God for giving us mitzvot, and sanctifying us through them. The classic formula is: "Baruch ata Ado-nai, Elo-heinu melech ha-olam, asher kiddeshanu be-mitzvotav ve-tzivanu…" "Blessed are You, Lord our God, Who has sanctified us through His commandments and has commanded us…," followed by a description of the mitzva about to be performed. Beyond praise, a beracha may also be a sort of request for permission from God to go ahead and perform a Divine command. Even a command cannot be undertaken lightly. Chiddushei Ha-Ritva, Pesachim 7b And the reason that our sages said to recite a beracha before performing a mitzva is in order to sanctify oneself first with the beracha and reveal and make known that one performs it [the mitzva] because of the command of God, may He be blessed. And further, because the berachot are a service of the soul and it is fitting to put the soul's service before a [mitzva] act, which is service [by means] of the body. Through berachot, we express our intention to fulfill the mitzva as avodat Hashem. A beracha is "a service of the soul." When we recite one, we serve God spiritually prior to performing a physical mitzva act, "service of the body." While exempt from certain mitzvot, women are allowed to perform them voluntarily. Most authorities consider such performance meaningful and praiseworthy, a type of mitzva fulfillment. But the question remains: May a woman about to perform a mitzva from which she is exempt first recite a beracha over it? On the one hand, the reasons for berachot – praise of God, intentionality, and engaging the soul – should apply even if the mitzva is voluntary. On the other hand, we invoke God’s name when reciting a beracha. This is a serious matter, and we can't just recite berachot whenever we want. First, some background. We would expect blowing shofar on Rosh Ha-Shana to be rabbinically prohibited as a form of muktzeh, except when done specifically to fulfill the mitzva. However, the rabbis permit men to blow shofar on Rosh Ha-shana even if they have already fulfilled the mitzva, and we follow the opinion of Rabbi Yosei and Rabbi Shimon that women may blow the shofar on Rosh Ha-shana as well. Or Zarua II Rosh Ha-shana 266 Rav Yitzchak bar Asher, of blessed memory, was in doubt – in the context of Rabbi Yose and Rabbi Shimon’s position – as to whether [women] can make a beracha over shofar or over other mitzvot in which they are not obligated, if it is considered a [proper] beracha or not. Since we permit them to blow even though it is a rabbinic prohibition [for it is a form of muktzeh to blow shofar outside of the mitzva on Rosh Ha-shana], that implies that they are doing a good thing and they receive a reward. So they also make a beracha, for it is an optional [mitzva] for them to fulfill like men. Or perhaps we permit them [to blow] because, since the rabbinic prohibition and blowing on Rosh Hashana is permitted to men – for a man who wishes to blow shofar all day long may do so, even though he already fulfilled his obligation – there is likewise no rabbinic prohibition for women. But how can she recite the beracha 'Who has sanctified us and commanded us (vetzivanu)' when she is not commanded? Mitzva Fulfillment It is "a good thing" for which women "receive reward." Though not obligated, women indeed fulfill a mitzva when acting voluntarily. Since it is a real mitzva act, reciting a beracha is appropriate. Neutral Act Women’s shofar-blowing is halachically neutral, of merely subjective significance. It is similar to a man blowing shofar for recreation after he has already fulfilled his obligation. Since there is no mitzva to speak of, reciting a beracha referring to the commandment would be inappropriate. Riva goes on to summarize different responses to his questions. We'll do the same, focusing on the positions of Rambam and Rabbeinu Tam. RAMBAM Rambam permits a woman to perform a mitzva from which she is exempt, but without reciting a beracha. Mishneh Torah, Laws of Tzitzit 3:9…Positive mitzvot from which women are exempt, if they want to perform them without a beracha, we do not rebuke them. Why doesn’t Rambam allow women to recite berachot when performing mitzvot voluntarily? He doesn't say. Though Riva suggested that this question depends on how we view the voluntary action, Rambam's position on voluntary performance is unclear. Rambam rules elsewhere that a woman receives halachic reward for Torah study, even though she is not formally obligated. That suggests that there is some mitzva fulfillment at play. But Rambam doesn’t mention a similar reward when he discusses women performing voluntary mitzvot here, and the phrase "we do not rebuke" does not convey enthusiastic endorsement. I. Unwarranted Beracha Why would reciting a beracha over a voluntary act, especially if it is considered neutral, be a problem? To Rambam, a beracha she-eina tzericha, an unwarranted beracha, is a Torah-level prohibition, so we must exercise caution about berachot in general. For this reason, he does not permit berachot over customs – even if, like reciting Hallel on Rosh Chodesh, they have become universally accepted. Mishneh Torah, Laws of Berachot 11:16 Every matter that is a custom…like reciting Hallel on Rosh Chodesh and on Chol Ha-moed Pesach, we do not recite a beracha on it, and so too any matter that you are in doubt about whether or not it requires a beracha, we do without a beracha, and a person should always be cautious about a beracha she-eina tzericha. If binding practice does not override concerns about an unwarranted beracha, why should women performing mitzvot voluntarily be any different? Even if we say that voluntary performance has halachic value, perhaps Rambam maintains that we can only recite a beracha when there is an obligation. Hagahot Maymoniyot, Laws of Tzitzit, 3:40 It is a great astonishment, for how can she say "Who has sanctified us in His commandments and commanded us” in a matter that they [women] are not commanded in, not on a Torah-level and not rabbinically?...How can they say "vetzivanu?" How can women performing voluntary mitzvot say "ve-tzivanu," "and [God] has commanded us," as part of a beracha? Perhaps saying "ve-tzivanu" even suggests a blurring of the lines between voluntarism and obligation. According to this logic, there is no fundamental objection to a woman reciting a beracha on voluntary performance. The required language formula just makes it impossible. When a beracha on voluntary performance, like the blessings on keri'at Shema, does not include "ve-tzivanu," a woman may recite it. Perhaps a woman could even recite She-hechiyanu on relevant voluntary performance, even though she would not recite the beracha on the mitzva. Although either of these difficulties might have led Rambam to rule out reciting a beracha on voluntary mitzva performance, Rav Yosef Karo, compiler of Shulchan Aruch, quotes only the issue of ve-tzivanu in his discussion of Rambam's position. RASHI AND HIS TEACHERS Even before Rambam, at some point in the early Middle Ages, Ashkenazi sages began to clarify this halacha, presumably because the issue had begun to arise in practice. Two of Rashi's teachers, Rav Yitzchak Ha-levi and Rav Yitzchak of Mainz, permit women to recite berachot over positive time-bound commandments. Machzor Vitry 359 Rav Yitzchak Ha-levi ruled that we do not prevent women from reciting a beracha on lulav and sukka…. If they desire to bring themselves into the yoke of the mitzva, the permission is in her hand. We do not rebuke her. For it is no worse than one who is not commanded and does. Since she fulfills a mitzva, it is impossible without a beracha. Rav Yitzchak Ha-levi considers a woman who acts voluntarily to be fulfilling a mitzva. As far as he is concerned, fulfilling a mitzva "is impossible without a beracha." Beracha and mitzva act are inextricably linked. He raises no concerns about unnecessary berachot or about imprecise language surrounding command. Or Zarua II Rosh HaShana 266 And [Riva] wrote in the name of Rashi that he would prohibit [women from reciting a beracha on voluntary mitzva performance]. Rashi reportedly prohibits women from reciting berachot over mitzvot performed voluntarily. It is worth noting that Rashi, like Rambam, is generally conservative about reciting berachot when not clearly required. He too maintains that one should not recite a beracha on a custom. RABBEINU TAM Rashi's grandson, the Tosafist Rabbeinu Tam, argues that women should be allowed to recite berachot on voluntary performance. Kiddushin 31a Tosafot s.v. Delo Rabbeinu Tam inferred that women recite berachot over positive time bound mitzvot even though they are completely exempt, for even rabbinically they are not obligated…for if not, how was Rav Yosef happy [at the thought of being exempt from mitzvot and performing them voluntarily]? Would he not have lost all the berachot entirely? Drawing on the Talmudic passage about the eino metzuveh ve-oseh (see here), Rabbeinu Tam points out that Rav Yosef originally found the idea of voluntary mitzva performance appealing. But according to Rabbeinu Tam, it’s unthinkable that he would have been happy to perform mitzvot if he were deprived of saying their berachot! It must be, then, that Rav Yosef took for granted that he would be allowed to recite berachot on the mitzvot that he would do voluntarily. A woman performing a positive time-bound mitzva is in a similar position and recites a beracha as well. Other halachic authorities, including Rashba, concur. Rabbeinu Tam himself notes how his perspective relates to his general position on berachot. Unlike Rambam, Rabbeinu Tam maintains that beracha she-eina tzericha is a rabbinic-level prohibition. If so, other factors, like nachat ru'ach shel nashim, women’s gratification, can more readily override the prohibition. Furthermore, Rabbeinu Tam typically permits berachot over customs, such as reciting Hallel on Rosh Chodesh. Customs can fully integrate into the halachic system, to the point that they merit proper berachot. VE-TZIVANU Rabbeinu Tam does not address how a woman can say 've-tzivanu' over a mitzva she wasn’t commanded to do. Ran, though, makes the argument for him. He explains that a woman's act derives its meaning to her from its being a mitzva in general. Ran on the Rif, Rosh Ha-shana 9b One who is not commanded and does also receives a reward. Therefore they [the women] are within the mitzva. For they recite a beracha, and we do not say: Since they were not commanded, how can they say "ve-tzivanu" [and He commanded us]? … For it is not difficult, because since the men were commanded and [the women] also receive a reward, they can well say "ve-tzivanu." “Ve-tzivanu” is plural. “Us,” in the context of the beracha, refers to the Jewish people as a whole. Women can recite the beracha with no concern of saying something inaccurate, because women are part of the Jewish people. Women "also receive a reward" for voluntarily performing mitzvot, and Ran deduces from this that a woman is considered "within the mitzva." Even if she isn’t personally commanded, she performs the mitzva as part of the commanded community, acting in in the context of others' command. Gloss of the Rema to Shulchan Aruch OC 589:6 And the custom is that women recite a beracha on a positive time-bound mitzva. Most Ashkenazi rulings follow Rema and allow women to recite berachot. Shulhan Aruch OC 589:6 Even though women are exempt, they can blow [the shofar]…But they may not recite a beracha and [men] should not recite a beracha for them. Notwithstanding Shulchan Aruch's ruling, major Sefardi authorities, among them Chida and Ben Ish Chai, allow women to recite berachot over positive time-bound mitzvot, at least those widely practiced. Chida initially disapproved of the beracha as unfounded because women independently initiated this custom. He changed his mind when he encountered a responsum by Rav Yaakov of Marvège, permitting women to recite berachot on lulav and shofar. Rav Yaakov claimed that his responsum was literally revelatory, from on High. Responsa Yosef Ometz 82 Since I saw the Heavenly response to Rabbeinu Yaakov of Marvège, as I wrote in Birkei Yosef, I have been accustomed to tell women to make a beracha on the lulav as was the old custom that women have practiced in the holy city. Although our master [Shulchan Aruch] ruled that they should not make a beracha, it seems that if he were to lay his holy eyes on Rabbeinu Yaakov of Marvège's responsum…certainly he would rule and implement custom like this. And in this case the principle "it is not in Heaven" is irrelevant, since there are many great halachic decisors who maintained that [women] may make berachot, it enables us to rule in accordance with them as we have Heavenly support. Chida was prepared to condemn women’s berachot as a mistaken innovation. But the combination of accepted practice, a responsum written under Divine influence, and prominent halachic authorities who permit it enable Chida to support women reciting a beracha, at least on shofar and lulav. In marked contrast, and in line with his halachic program of bringing Sefardi halachic rulings into conformity with the Shulchan Aruch, Rav Ovadia Yosef vociferously opposes women reciting these berachot. Responsa Yabia Omer 5 O"H 43 For we did not come to rule for Ashkenazi women to do the opposite of the Rema’s ruling… Rather we have come to rule for Sefardi women (who according to the testimony of the elders of the sages of the generation of the Chida practiced thus [making berachot] without knowing [any better]) to return to the ruling of the Rambam and our master [the Shulchan Aruch], that they should not recite a beracha in vain. Rav Yosef extends his ruling even to berachot in prayer that do not include the phrase "ve-tzivanu," since the main issue for him is beracha she-eina tzericha. As noted above, for all Rav Yosef's fidelity to Shulhan Aruch, this does not seem to be Rav Karo's main concern. Rav Karo refers instead to "ve-tzivanu" as the reason for which women may not recite a beracha. Mekor Chayim for Daughters of Israel, Introduction, p. 15 In conclusion of the Halacha: In a place where women are accustomed to reciting a beracha on a positive time-bound mitzva, one should rule for them that they continue to recite it. In a place where the custom is unclear, it is desirable to rule for those who ask [that they should] not recite a beracha, but one should not protest at all women who recite a beracha, or anyone who rules for them that they should recite a beracha. 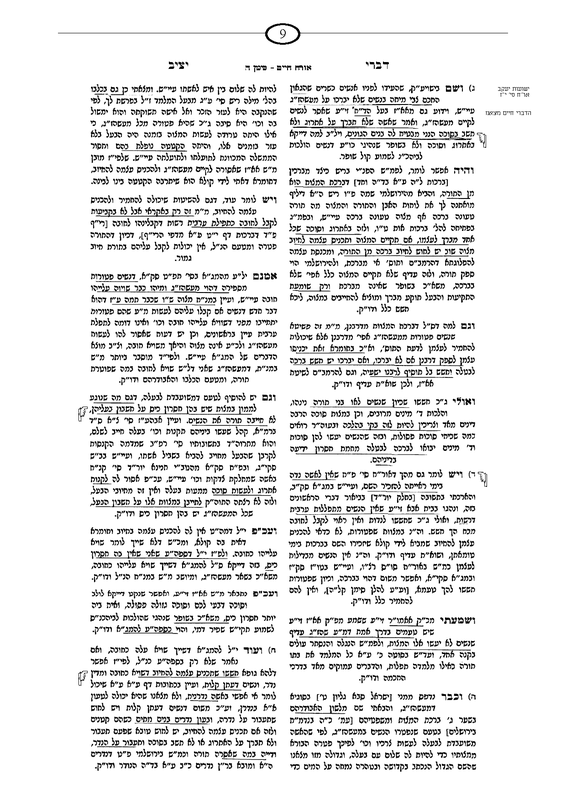 Out of concern for Shulchan Aruch's view and for established custom, Rav Ha-Levi writes that "it is desirable" that a woman whose family practice on reciting berachot is unclear should be instructed not to, but he adds that a ruling to allow all women to recite berachot is valid, and that any woman who does recite berachot should be freely allowed to do so. ● How can women relate the halachic discussion to practice? When a woman performs a positive time-bound commandment from which she is exempt, it should be with care to perform it scrupulously and with intentionality, in accordance with the opinions that hold that the act is a fulfillment of a mitzva. Women who do not make berachot on these commandments can consider reciting a beracha without mentioning God's name and kingship. The focus here remains firmly on the mitzva act, which may be fulfillment of the mitzva. Women who do make berachot on these commandments should keep in mind the various purposes a beracha on a mitzva serves: praising God and preparing ourselves to perform the mitzva properly. With the possible exception of the berachot on the Torah, berachot over mitzvot are usually understood to be obligatory on a rabbinic level. They were enacted by the Anshei Kenesset Ha-gedola (Men of the Great Assembly). Mishneh Torah, Laws of Berachot, 1:2-3 The rabbis [established the obligation] to recite berachot on every food beforehand, and afterwards to benefit from it…and anyone who receives benefit without a beracha has [acted like one who] benefitted [inappropriately] from a sacred object…Just as we recite berachot over benefit, we recite berachot over each and every mitzva and [only] then perform it. Mishneh Torah, Laws of Talmud Torah 1: 13 A woman who learned Torah receives a reward, but it is not equivalent to the man’s reward because she is not commanded, and anyone who does something that he is not commanded to do, his reward is not equivalent to the reward of one who is commanded and did, but rather less than that. Mishneh Torah, Laws of Berachot 1:15 Whoever recites an unwarranted beracha, takes the Heavenly name in vain and it is as if he made an oath in vain. Rav Yeshaya De-Trani suggests that, for this reason, a voluntary act performed along with a beracha is a violation of bal tosif, adding on to the commandments. Shibolei Ha-leket, Rosh Ha-Shana 295 Rabbeinu Yeshaya wrote without a beracha is it permitted to women to blow for themselves, but if they recited a beracha, they have revealed their intention that they act out of obligation, and there are two [grounds] for prohibition: one, that they violate bal tosif, and two, that there is a beracha in vain. Or Zaru'a II Rosh Ha-shana 266 Rabbi Yitzchak bar Yehuda permitted women to recite a beracha on every positive time-bound commandment. Rashi Sukka 44b It is a custom of the prophets…therefore it does not require a beracha. Tosafot, ad loc., do present a counter-argument, later echoed by other Rishonim such as Ramban. A blind man may be obligated on a rabbinic level from mitzvot from which he is exempted on a Torah level. Based on his rabbinic level obligation, Rav Yosef would have been able to make berachot even if his actions remained voluntary on a Torah level. Responsa of Rashba 1:123 I agreed with the words of he who says that if they [women] want, they perform all positive mitzvot and recite a beracha. Rosh Ha-shana 33a Tosafot s.v. Ha There is no problem of reciting an unwarranted beracha and violating the prohibition against saying God's name in vain, because that textual expounding is rabbinic [and the prohibition is not on a Torah level]. Rabbeinu Tam presents a number of proofs that a beracha may be recited on a custom. Sukka 44b Tosafot s.v. Kan And Rabbeinu Tam says that there is no proof from the willow [on Hoshana Rabba, which is a custom over which we do not make a beracha] that we should not make a beracha on Hallel [on Rosh Chodesh, which is also a custom]…For we recite berachot on Torah reading on both days of Yom Tov in the diaspora and this [second day] is merely a custom. Mordechai presents Rabbeinu Tam as treating women's performance as a custom. Mordechai Shabbat Chapter 2: 286 And so Rabbeinu Tam explained that women recite a beracha on positive time-bound commandments because they have a custom to perform them and fulfill them. Yabia Omer OC I:39 And at first, I thought that this matter depended on a different debate. If the prohibition of an unwarranted beracha is on a Torah level…and it would seem that one could say that this debate depends on the dispute of Rashi and Rabbeinu Tam in Sukka if we recite a beracha on a custom or not. A notable exception is Divrei Yetziv O.C. 5, who reports that his grandfather, the Divrei Chayim, first Admor of Sanz, objected even to women's voluntary performance. Since the logic to permit reciting a blessing is based on the significance of voluntary performance of a mitzva act, Magen Avraham suggests that Rema may not extend that permission to berachot such as havdala, which are recited independently, and not as a precursor to a mitzva act. Magen Avraham 296 And it is possible that the opinion of Rema [is that] in a mitzva that has an act women are permitted to act and to recite a beracha but in a matter that only has the beracha such as here [his example is havdala] they [women] are not permitted [to recite a beracha]. We will discuss this viewpoint further in connection with havdala and kiddush levana.